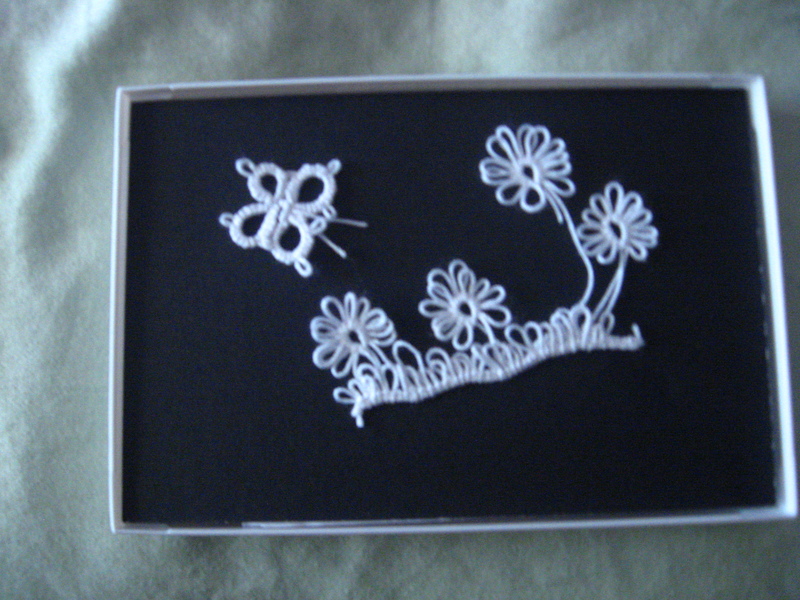 I picked up Tatting in the spring of 2007. I put it down for one year and now I am totally obsessed with it. It is so incredibly portable. Who knew. I am so crazy that I re-purposed a pewter pin I purchased at a thrift store several years ago. 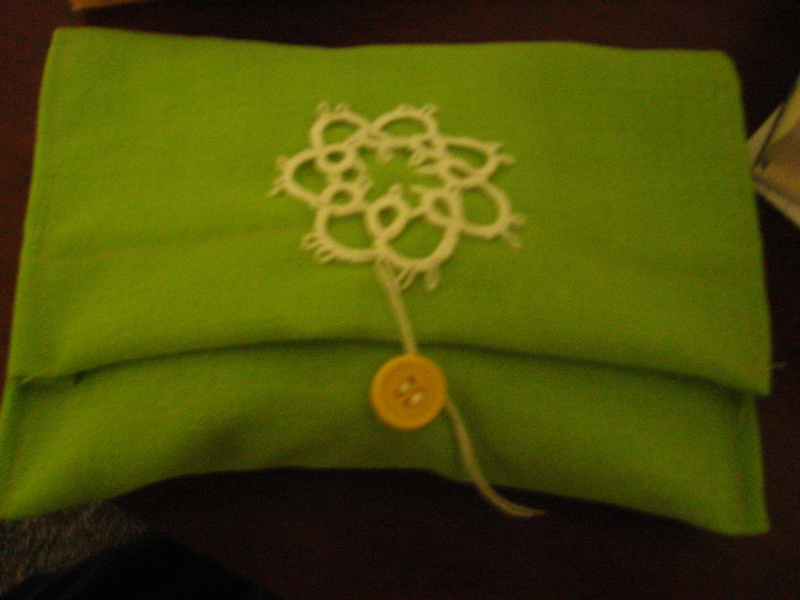 with a chain and a toggle to make a tatting thread ball holder that I could pin to my shirt. Photo forthcoming. I will keep you abreast of the situation ie my obsession. My Friend Catherine had made this Motif the Dark Purple one. I love it reminds me of a Moroccan tile. She let me borrow it and i came home and last night i sat down and copied it. Mine is the pink verigated. Ok my first impressive piece of tatting. READY????? How beautiful! Your work is magnificent. That it gorgeous! 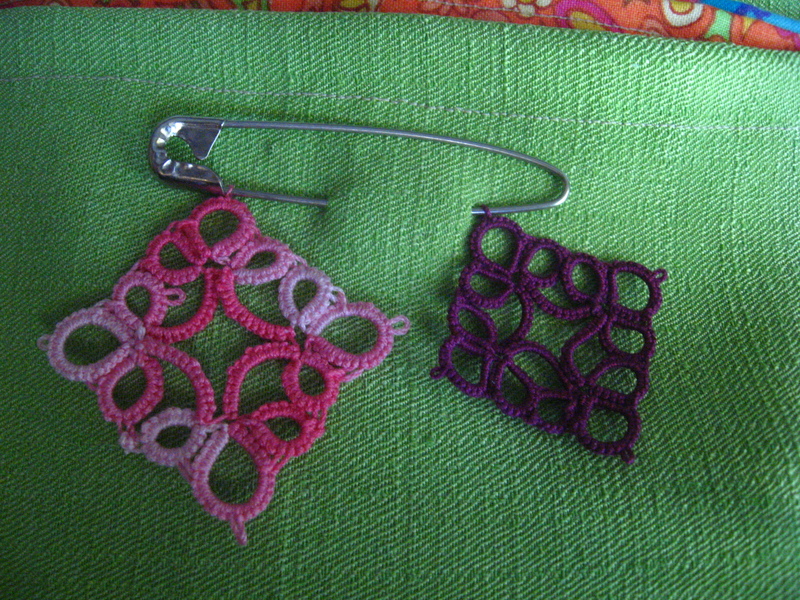 It makes me want to pick up my tatting needle again. You are doing fabulous work! 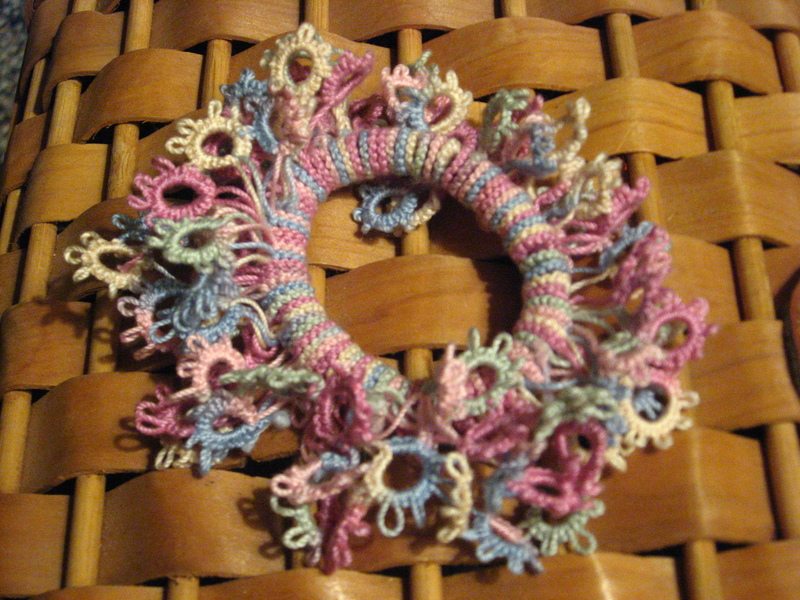 I have tried and tried tatting, even taking a class, but at the end of the two-hour class still had not accomplished the first thing they wanted us to do something about flipping the thread. I went home, downloaded many tatting beginner things, read them, tried again and again, and finally, unlike me, gave it up. I don’t know if the shuttle I was using was too cheap and didn’t work or if it was my eyes or my head, but I just didn’t get it. Sad, because I would love to make such beautiful things as yours. Thanks for sharing them.